Jason Lovelady is recognized as an industry leader in the fields of coastal roofing construction, architectural sheet metal and balcony efflorescence solutions. Combined, this depth of knowledge and his dedication to exceptional craftsmanship and historic preservation demonstrates the diversity to which he leads the Carpenter’s Roofing & Sheet Metal team for the benefit of their clients. Jason was born and raised in Hobbs, NM. He obtained a Business Management Degree at Southern Methodist University (SMU) and a Masters Degree at Texas Tech University (TTU) in the field of Environmental Technology Management under the Department of Civil Engineering. He began his career in Dallas with a wide range of industries including finance, sales management and served as a regional manager for Systemware, a mainframe software development organization. Jason married in 2000 and in 2004 they decided to move to Florida to live near his wife’s family. And after Hurricanes Frances and Jean in the fall, his wife’s family asked him to join the roofing company, Carpenter’s Roofing & Sheet Metal (CRSM). Shortly thereafter, Jason became the President of the organization. Since 2005 Jason has advanced CRSM with technology, which has enabled CRSM to assist architects, designers and engineers in the roofing, sheet metal and waterproofing design of some of the finest homes in Florida. 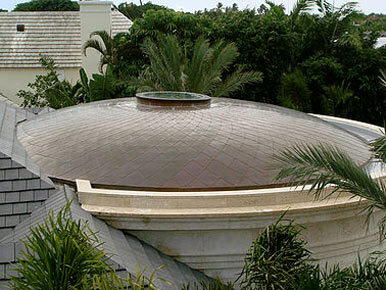 This advancement has earned CRSM the status as being the most respected roofing contractor in South Florida. Jason holds a Florida State Certified Roofing Contractor License and a Florida State Certified General Contractor License. Jason currently resides in Tequesta, with his wife and three children. Joe was born and raised in Owensboro, Kentucky. He moved to West Palm Beach in 1970 where he attended Palm Beach Community College. Upon completing his Associate degree he returned home for a couple of years where he attended Brescia University in Owensboro. Missing the beautiful South Florida climate he returned in 1974. Joe entered the roofing and architectural sheet metal industry at Boys, Inc., South Florida’s oldest roof contracting business originally established in 1923 where he gained his basic training from the founding Kinsey family. Joe strengthened his roofing experience when he joined the Carpenter family business in the spring of 1988. Since 1991 Joe has served as Vice President of Carpenter’s Roofing & Sheet Metal, Inc. He brings experience in every phase of the roofing and architectural sheet metal contracting including, design, estimating, sales, purchasing and field supervision. 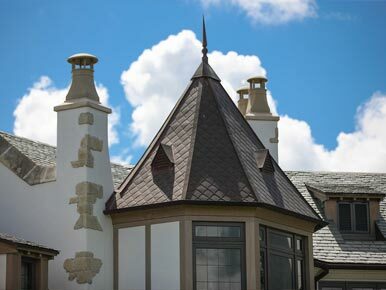 Joe has well over thirty years of diverse roofing experience working with designers, builders, and owners of custom homes and commercial buildings. This includes both new construction and replacement of existing roofs on some of the finest homes and buildings in America, as well as many of the local coastal landmarked homes. 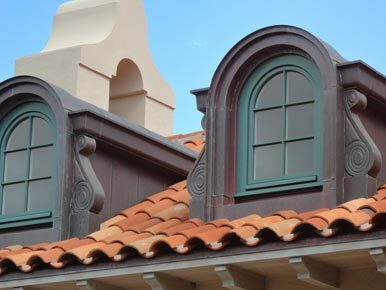 Joe’s passion for the history and application process of clay tile, cement tile, natural slate, and copper provides valuable insight as they pertain to the local unique tropical conditions. Joe holds a Florida State Certified Roofing Contractor License and a Florida State Certified Sheet Metal Contractor License. After a brief 4 month retirement, Richard was hired by Carpenters Roofing & Sheet Metal in 2010. With over 40 years in the custom residential roofing industry, Richard brings a wealth of experience to the firm. Richard is a big sports fan, especially Miami Dolphins football and NASCAR. He says his greatest joy is spending time with Sandy, his wife of 35 years (and counting), and his children Jeff, Matt, TJ and Emily. While the children have all gone to make their own way in the world, he says he is very lucky that they stay in frequent contact and spend a lot of quality time together. © 2017 Carpenter's Roofing & Sheet Metal, Inc. Site by q new media.